Many of us remember the scene from She’s All That when Laney walks down the stairs free of her glasses (we’ll leave that beauty standard analysis for another time) and is wearing the dark red spaghetti strap as her newly found “hot girl” persona. Well, Lancôme’s cult fave foundation just underwent that same transformation as Laney, and is fully ready to date a hot, yet underwhelming high school boy. 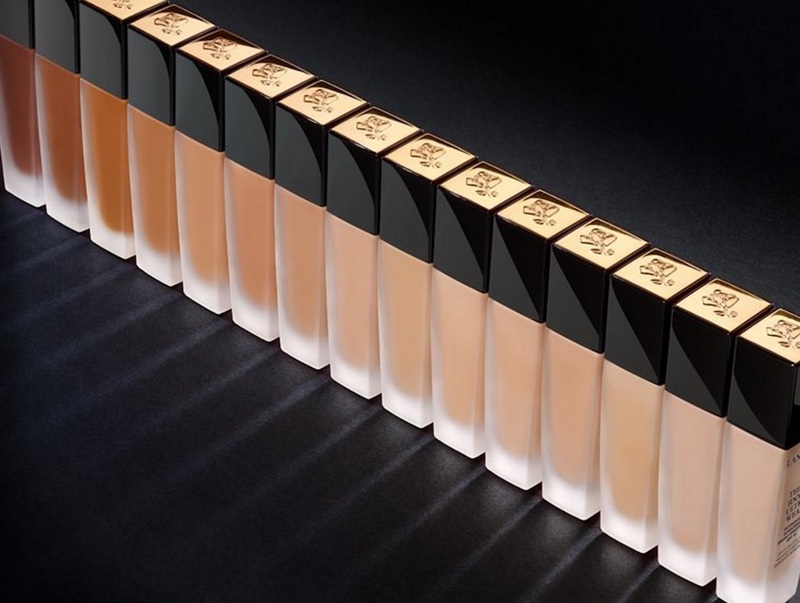 The Lancôme Teint Idole Ultra Wear line is adding more shades to level up their foundation collection, and this expansion is fully welcomed both by women who swear by this formula, and those ready to try it out. The collection will now have a total of 40 new shades that women can pick from. Hopefully, this will help bridge the gap much of the makeup industry creates by primarily featuring a detailed lineup of pale shades with sparse offerings for women with deeper skin tones. As you can see, the collection looks like a beautiful set of liquid piano keys, when placed in sequence. You can buy your own shade of Lancôme Teint Idole Ultra Wear Liquid Foundation online at Ulta Beauty for $47.